The Havahart Two Door Mouse Trap is a live mouse trap that catches mice so you can release them back into their natural environment. It is a very caring way to deal with your mouse problem. These live mouse traps cause no harm to the mice. 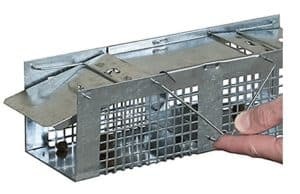 Unlike snap traps, the Havahart mouse trap is a humane way to catch the little guys, then relocate them back where they belong – OUTSIDE! The Havahart Live Mouse Trap was designed with the safety of the mouse in mind. The inside of the trap has smooth edges so the mouse won’t get hurt during his brief containment. The wire mesh allows your mouse to breathe easily while waiting to be taken to his new home. There is also a convenient handle on top, so you can safely transport the mouse to another location without touching the body of the trap. This is one Durable Mouse Trap – Pure Quality Construction. 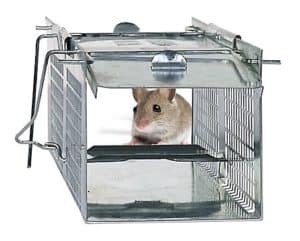 The Havahart mouse trap is made from sturdy wire mesh & steel, not cheap plastic as so many other varieties use. This makes it very effective in keeping the mouse inside the mouse trap – they won’t chew their way out of this one. The strong, solid design also means this mouse trap will last a long, long time. Several people have commented that they have been using the same Havahart mouse traps for years. 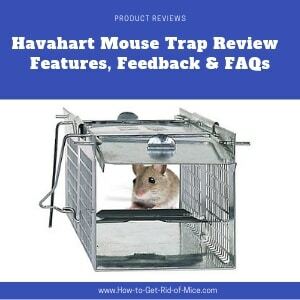 What are Customers Saying about the Havahart Mouse Trap? Most of the negative reviews were from people who had trouble setting the trap. They comment that the Havahart mouse trap was too sensitive and would trip while they were trying to set or bait it. This is a common problem with mouse traps. 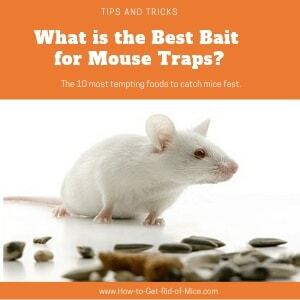 They are either too sensitive and are hard to set or not sensitive enough, and the mouse gets away with the bait. 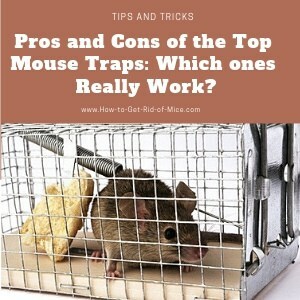 Personally, I prefer a more sensitive mouse trap, that just takes a little bit of finesse to set up. And luckily there are quite a few videos that show you exactly how to set the Havahart mouse trap. Here is one that shows you exactly how it is done. Another reviewer noted that he kept triggering the trap when trying to bait it. Well, guess what – you are supposed to bait it first, then set the trap, not the other way around. So, while it may take you a couple tries to learn how to use this trap, that is just a one-time effort. Once you get it right, this live trap works really well. Just watch the video again once you buy the traps, and you should have no problem. A couple minutes fiddling with the metal bars is a small price to pay for trapping mice humanely. You can buy the Havahart Two Door Mouse Trap at their online shop at www.Havahart.com. They are also available at many local retailers, such as Ace Hardware, Lowes and Home Depot. And if you would like to comparison shop a little before deciding, Amazon has a wide selection of live catch mouse-traps including the Havahart brand. 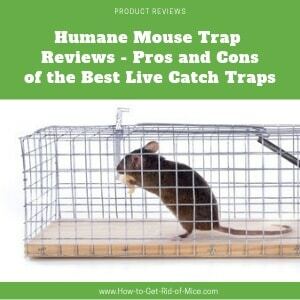 If you are still undecided, compare this brand with other humane traps read our article on the Pros and Cons of top 3 live catch traps. Havahart Mouse Trap is a humane way to trap and release mice. Designed with the safety of mice in mind, it is a mouse trap you can use with confidence. This one gets our vote as the best live mouse trap. There is a customer service hotline to answer any questions with setup & they offer a money back guarantee.